Come tour Ozarks Teen Challenge. Located just outside of Branson, MO, we are Missouri’s ONLY Teen Challenge Boys Center. Branson has become a popular tourist destination with an abundance of shows and attractions. With Silver Dollar City (an amusement park), shopping and shows, the lovely Ozark Mountains and an abundance of water (3 large lakes within minutes). Branson offers something to vacationers of all ages and interests. Despite the accessibility of these attractions, our Teen Challenge center is a quiet retreat off the beaten path. Our 30 bed facility sits on 190 acres of hardwood forest, rugged hiking trails and graceful pastureland. Ozarks Campus Tour from Teen Challenge on Vimeo. 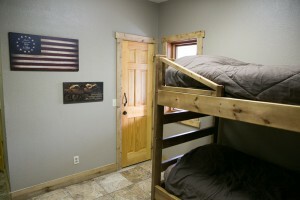 Our dormitories are a warm and comfortable area for your son’s rest. We know that being away from home can be tough, but our warm, inviting dormitories strive to make the transition easier. Each room houses a minimum of 4-6 students ensuring a positive peer culture, accountability, and an environment for each incoming student to feel welcomed and safe. Our newly renovated dorms ensure safety and provide a private place for personal belongings.